You may have noticed in the past that sometimes we skip a version in between updates. The most recent example has been right before our last 3.7 release: we went from stable 3.503 to 3.700, skipping 3.600, as we managed to merge a development branch that initially was not planned. This has created some confusion while communicating with our community in between 3.500 and 3.700 since we often referred to our internal build as 3.600. From now on then, we’ll pick a wholesome vegetable or fruit as a codename for the next scheduled release in development. The codename for our next 3DF Zephyr release (planned for the end of May 2018) is Avocado. Will Avocado be 3DF Zephyr 3.800 ? 4.0? We’re not sure yet. That’s why we’re moving to vegetables since 1 Avocado will always amount to 1 Avocado, and that’s solid math right there. Lets quickly have a look at what’s cooking in our development kitchen office. Accuracy matters, and that will always be our top priority. If you’ve followed the 3DF Zephyr development during the years, you may have noticed that often in our changelog we’ve had improved the speed of Samantha – our leading, state of the art, structure from motion technology – and overtime, those little 5%-10% speed increments have added up to quite a bit. With Avocado however, Samantha has shown speed improvements that range from 20% to a whopping 80% – all of this without losing accuracy. 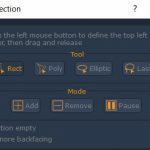 One counterintuitive aspect of this improvement is that the higher the image resolution and the number of images, the more relevant the speed improvement! The new improved Stasia is capable of extracting much more details than ever! So while the computation is more or less the same than the current 3.702 release, the results are very promising from our initial testing. Lets see this example: the following mesh have been generate at default settings (same 293 images as above) from two different clouds, on the left from 3.702 and on the right from Avocado – both with the same running time of roughly 45 minutes. Please note that this is the raw surface without any photo-consistent optimization. 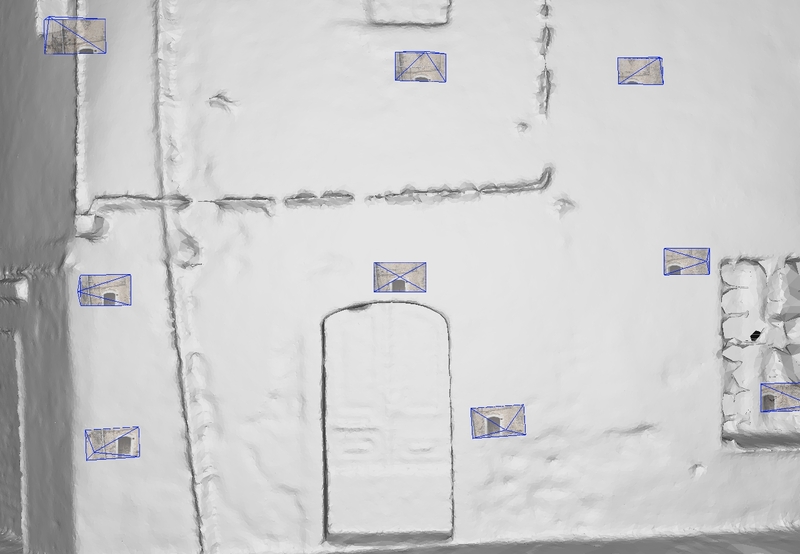 With the new improvements will be generally able to recover more fine details and thin structures. It’s important to notice that the final amount of points is more or less the same. As you probably know, the density of the points doesn’t influence accuracy. A better initial solution for the photoconsistency will certainly lead to a better final result. Furthermore, we are planning to decrease the overall running times before the new release. Merging new code that has been developed for a while on a separate branch is always good motivation for some code cleanup. This has been a great chance for us to get rid of some old legacy code that was making development of certain parts slower than it should have been. We strive to deliver updates every few months and periodically cleaning our code is required to keep our development process agile as well as robust. With this internal codebase maintenance we’re also taking the opportunity to rewrite the code needed to (finally!) bring our SDK to Linux. Although there are no plans to bring the full 3DF Zephyr application to Linux ( 🙁 ) porting our core technology to it is a needed step that will benefit all of our current and future SDK customers. 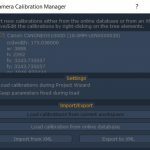 Although it is already possible to manually handle custom camera calibrations and presets, for those who need these feature frequently there is currently a lot of repetitive work when starting a new project, with the task of organizing your calibrations/presets file left to the user. 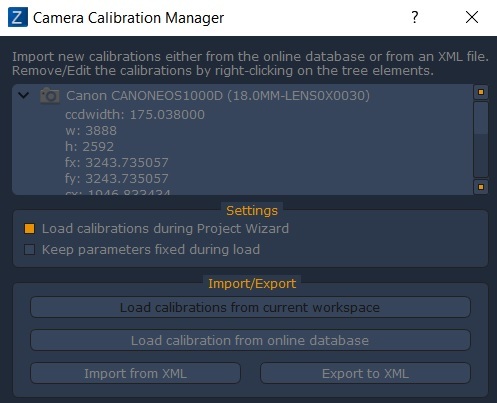 Avocado features one new camera calibration manager that allows you to easily manage offline camera calibrations. Whether you have or not an internet connection, you can always count of your local calibration database. You can either use XML or simply drag and drop the photo that you want Zephyr to download the calibration for. Need to share a preset with a friend or a colleague? 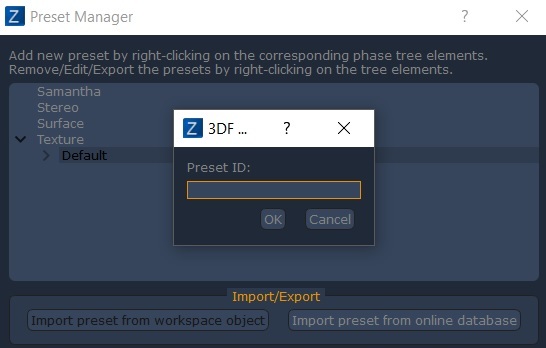 Simply upload it to our server in a click – you will be then given an alphanumeric code that you can share and enter in another Zephyr installation – the preset will be automatically downloaded and added to the new “Custom” preset category. 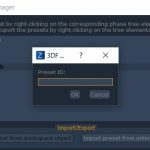 Sharing and storing presets has never been this easy! 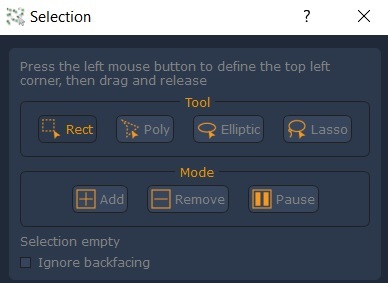 We’re not aiming to replace Blender or other similar software suites – we’re focused on 3D modeling from reality, but we’ve always valued the possibility to do some minor cleaning / editing directly within Zephyr – as minor as those edits are, they can really save a lot of time. It is currently required to generate a mesh in order to obtain an orthophoto – otherwise, you have to rely on a controlled mosaic generation. 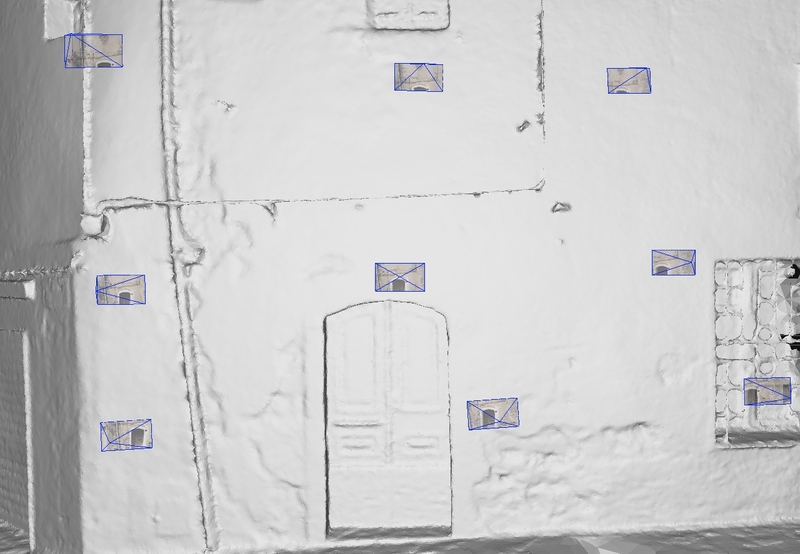 With the upcoming Avocado release however, the orthophoto generation can be computed on any dense point cloud, including unstructured point clouds. While it’s always better to generate the orthophoto from the mesh, sometimes it’s useful to generate it quickly from a dense point cloud, especially from colored point cloud coming from laser scans. Feedback or ideas you’d like to share? Let us know on our Facebook 3Dflow Academy group or on our Forum!